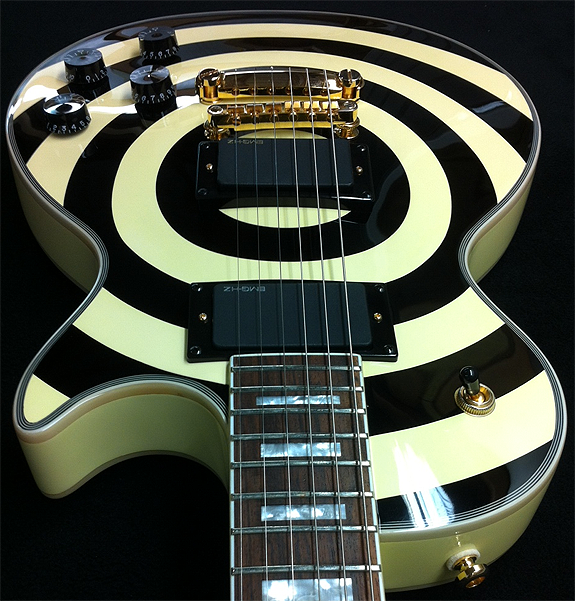 This guitar was completely refinished in a lighter cream to more closely match the color of Zakk’s “Holy Grail” and the Gibson Custom Shop Zakk Wylde Model. 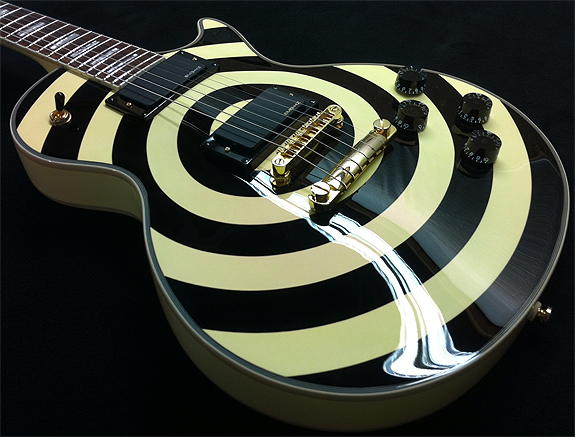 The color that comes on the Epiphone Zakk Wylde guitars is far too yellow. We also painted the Bullseye rings in Jet Black. 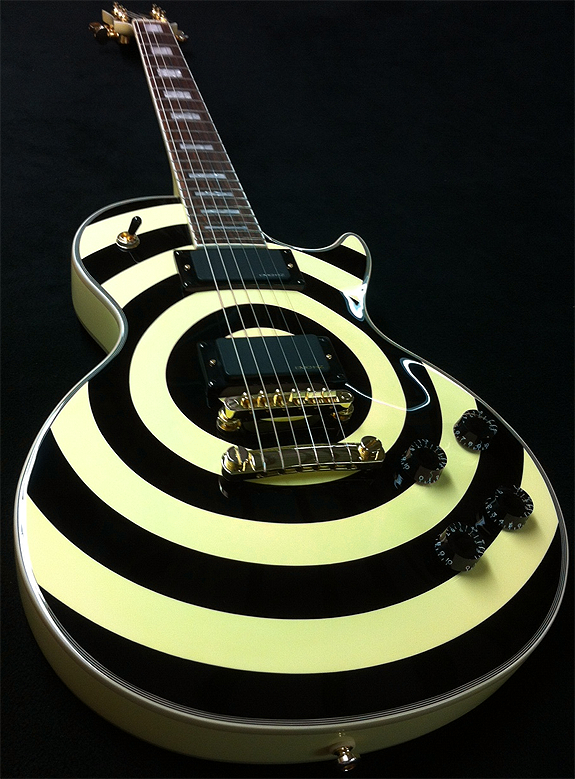 The Epiphone Bullyseye is not a bold rich black like this. Also the color cream they use on the Epiphones is yellower on the top than it is on the sides & back. 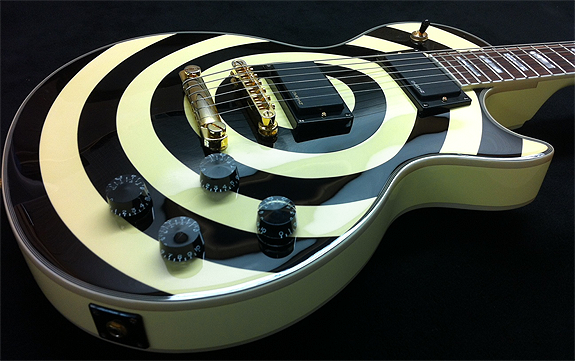 We custom mix our cream to be dead on to what comes on the Gibson Custom Shop Zakk Wylde Les Paul. The slight greenish hue you see in the cream in some of the pictures was caused by the camera & lighting, it does not have that appearance in real life.